Best way to get tickets to Hamilton | How Do Subscriptions Work? What is the best way to get tickets to Hamilton at the Fisher Theatre? At this time the best way to get general tickets to HAMILTON will be through individual ticket sales to be announced at a later date. Please see the information below on individual ticket purchases. Although Subscriptions for our 2018-19 season are no longer available, we are keeping this information available as it explains how the subscription program works for this season, and future seasons. If you need two tickets, then you will buy TWO subscription tickets. Broadway In Detroit offers a 2-week subscription series. This means that generally our subscription series shows play for 2-week engagements in Detroit. Because of that, when you purchase a subscription, you select the week and the day you wish to attend. Subscriptions are sold as the First Tuesday or Second Tuesday; First Wednesday or Second Wednesday; First Saturday Matinee or Second Saturday Matinee, etc. When your order is processed you are assigned the same seat to the same day and performance for each show in the subscription series with the exception of Aladdin and Hamilton. 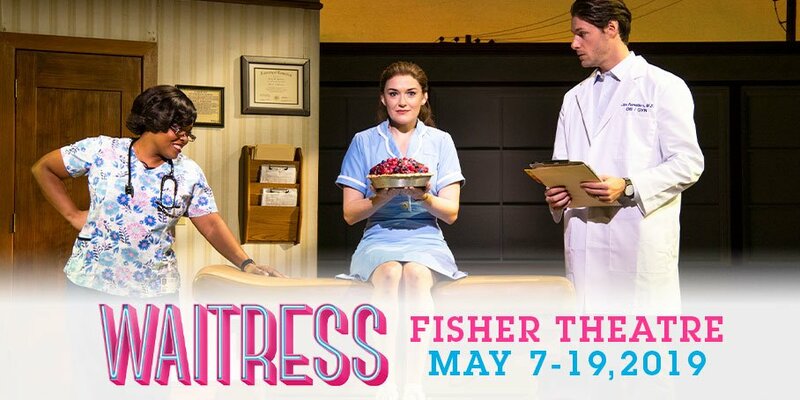 Because Aladdin is at the Detroit Opera House for FIVE weeks, and the Detroit Opera House does not have the same seating arrangement as the Fisher Theatre, your assigned seat(s) will be on the same day, but may be on a different week of the engagement. Because Hamilton is at the Fisher Theater for SIX weeks, your assigned seat(s) will be on the same day, but may be on a different week of the engagement. Subscribers have ticket exchange privileges – see the Exchanging Tickets section below for details. At this time the renewal deadline has passed and seats held by subscribers who did not renew have been released or assigned. If you were a subscriber and wish to become one again you will need to place a NEW subscription order. However, if you know your old account number and password you can use them to purchase a new subscription package. Will existing Broadway In Detroit subscribers be able to purchase additional single tickets to Hamilton? Unfortunately due to demand, we cannot make additional single tickets available for Hamilton at this time. Subscribers will have the opportunity to order additional single tickets for our other season shows and extra attractions. Can I request a change to my existing season renewal order? Yes. Our ability to grant requests is limited due to demand. However, we will make every effort to accommodate your request as described above. When and how will I receive my season tickets? Season ticket packets will be mailed in batches with your first set of tickets arriving in mid summer for Something Rotten. 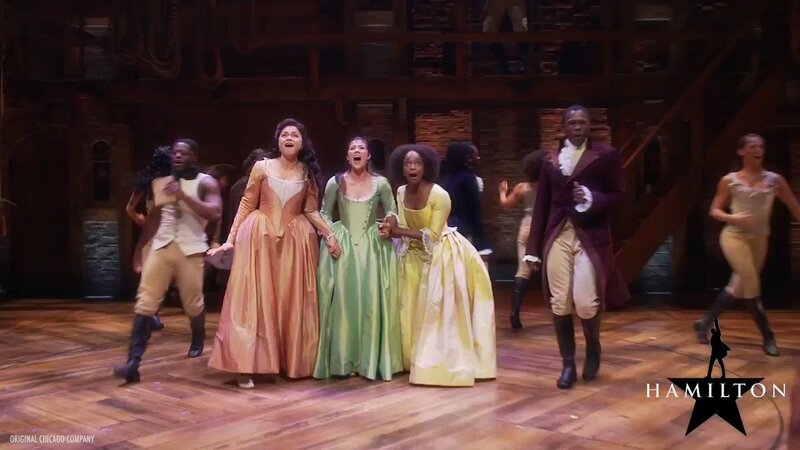 In a concerted effort to protect consumers from the secondary ticket market, Hamilton tickets will be mailed separately from tickets to the six other season shows. When will I be able to purchase tickets to Broadway In Detroit Season Extras? Subscribers to the 2018-19 Broadway In Detroit season will be able to purchase tickets to our extra attractions before they go on sale to the public. Shows & dates for these performances have not yet been announced. Broadway In Detroit is now taking new Subsscription orders. New subscribers to the 2018-19 Broadway In Detroit season will receive tickets to each of the 2018-19 subscription series shows including Hamilton. Will new Broadway In Detroit Subscribers be able to purchase additional single tickets to Hamilton? One of the benefits of becoming a Broadway In Detroit subscriber is having the ability to exchange your tickets for another performance of the same show. Exchange privileges allow subscribers to exchange tickets for one day with another day for the same show at the same price level. For example, if your subscription is for the First Wednesday, but you will be on vacation during that week, you can exchange your ticket for the Second Tuesday, Wednesday, Thursday or Sunday evening. Your new seat location will depend on availability, but we will do our best to get you as close to your original seat location as possible. Subscribers cannot exchange a ticket from one show for a different show. Subscribers may exchange to a higher priced ticket or performance, but must pay the difference in ticket price. Refunds are not available when exchanging from a premium section or performance to a non-premium section or performance. Due to demand, subscribers will have a limited period to make exchanges prior to the Single Ticket On Sale date for Hamilton. Once the deadline for exchanges has passed subscribers will not be able to change their show date, time or seat location. Details on procedures for subscription exchanges for Hamilton will be explained in greater detail at a later date. I’m a subscriber, but I can’t use my tickets to a show. Can I resell them? For most of our shows the answer is YES. All Broadway In Detroit subscribers have a My Broadway In Detroit Account which gives you access to Ticketmaster’s Verified Ticket Resell program. Through this program, our subscribers can post unused tickets for resell through an authentic, verified process. We enabled this feature on a show-by-show basis with some restrictions. After receiving your tickets for a show you can check your account to see if resell is enabled for your date. Why should I use Ticketmaster’s Verified Ticket program? Verified Tickets allow you to sell your ticket as an authentic ticket. Your ticket will appear on Ticketmaster.com for purchase. The purchaser gets a BRAND NEW ticket registered to them. This is the ONLY resale that we approve for any Broadway In Detroit ticket. This same process also works if you wish to give your tickets to someone else. If you both have Ticketmaster Accounts, you can send your tickets to someone for most Broadway In Detroit shows. The new tickets will have a new bar code and be registered to the recipient. The old tickets will no longer be valid. 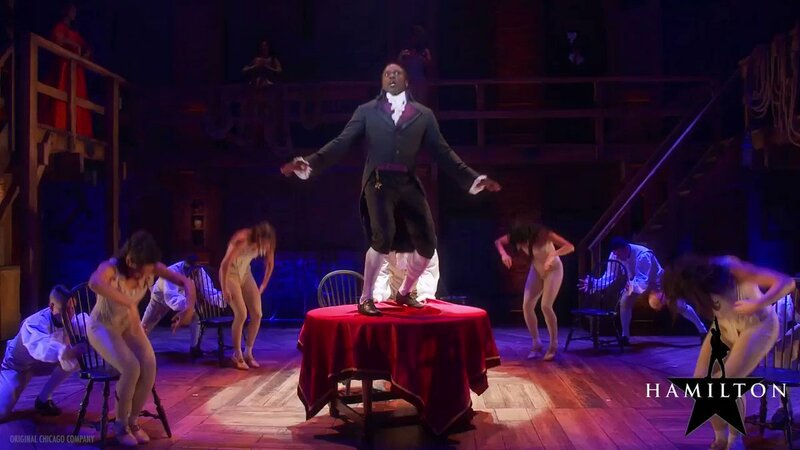 A limited number of organizations have been approved by the producers of Hamilton and Broadway In Detroit to sell authorized tickets for a number of Hamilton performances in Detroit. When: Tuesday, March 12, 2019 | visit www.shirtikvah.org/hamilton for details. When: Thursday, April 4, 2019 | visit www.hillel-detroit.org for details. When: Tuesday, April 9, 2019 | visit www.mosaicdetroit.org for details. These four organizations are authorized by the show and Broadway In Detroit to sell a limited number of tickets to their engagements in advance of the public on sale dates. Each organization is setting their own public pricing with a fundraising portion of each ticket supporting their programs. For details on ticket prices, how to order, ticket packages, etc. on these performances contact the organizations at the links provided. The Fisher Theatre box office and Ticketmaster are unable to sell tickets for these four events. You MUST contact the event organizers directly if you wish to support their evenings at Hamilton. There are NO ADDITIONAL benefit performances available. A date for single ticket sales has not been set at this time. There will be no pre-sale for single tickets to Hamilton. Single Tickets may not be available at the box office until the day of the performance with the exception of special needs. A special needs policy will be in place at the time the single ticket on-sale date is announced. Broadway In Detroit will use Ticketmaster Verified Fan for the Single Ticket On Sale for Hamilton. More details on this procedure will be announced with the official on-sale date. To receive information on how to purchase individual tickets to Hamilton when it is announced sign up for our Email alerts by clicking HERE. Group sales will not be available for Hamilton. However, group sales will be available for other 2018-19 season shows. For more information on Group Sales for Broadway In Detroit shows click here. 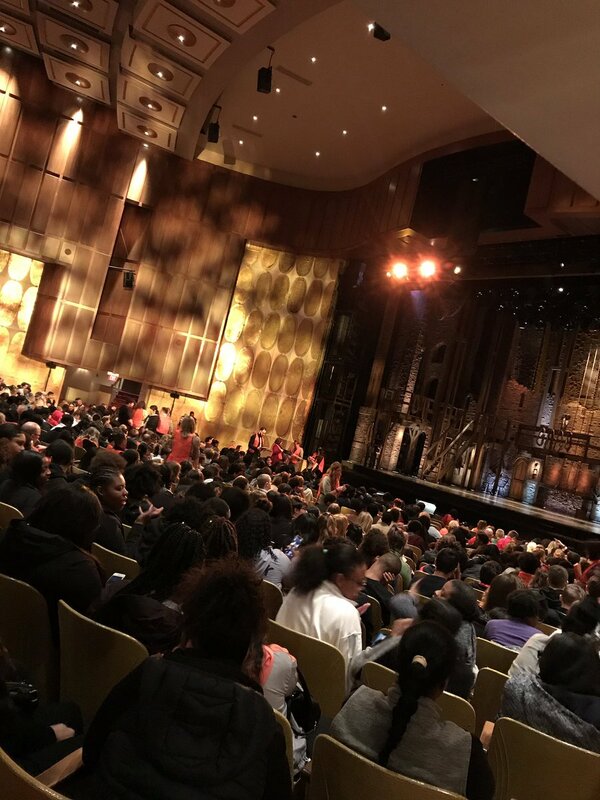 Broadway In Detroit gift certificates make the perfect gift, however, if you are purchasing the gift certificate for the sole purposes of purchasing tickets to HAMILTON you may not be able to do so. For the purchase of HAMILTION tickets we would recommend a Tickemaster gift card as this will allow you to purchase tickets through Ticketmaster’s Verified Fan. You can purchase a Ticketmaster gift certificate at the following link; https://www.ticketmaster.com/giftcards/digital.